and the EGM also met the required quorum. Your support on the EGM is very important to ensure there is no disruption to the security guard house services. Those who returned the reply slip are eligible to join and vote in the EGM. The future of your Taman’s security guard house is in your hand. Dear All PP8A residents, pursuant to the constitution of association. 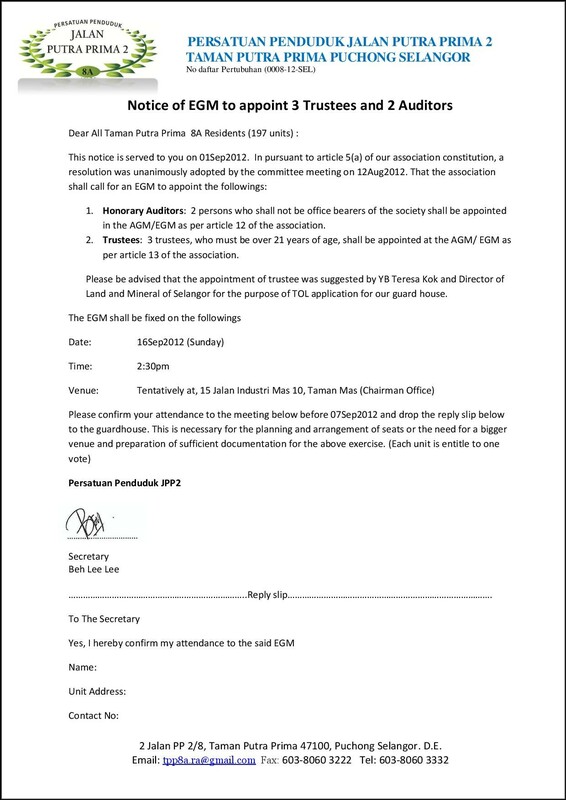 An EGM was called by the Secretary, please confirm your attendance on the reply slip given before 7th Sept 2012. It is every resident duty and responsibility to observe the rules in order to meet the quorum of EGM as required by the Registrar of Society.